Brand SA released a video as part of its #IAM campaign with men wearing red lipstick and apologising to women for the abuse they've endured at the hands of men. JOHANNESBURG - Brand South Africa has come under fire for its campaign which it says is meant to raise awareness against women and child abuse. On Monday, the marketing agency released a video as part of its #IAM campaign with men wearing red lipstick apologising to women for the abuse they endured at the hands of men. But the company told Eyewitness News on Tuesday the red lipstick is associated with danger and is symbolic of bloodshed by many victims at the hands of their abusers. Brand SA also said the intention was to call on men of diverse ethnicity to break the silence against sexual and gender-based violence in South Africa, with the acknowledgement that some men are the root of domestic violence. Some of the men who are featured in the campaign include radio talk show host Ashraf Garda and comedians Jason and Donovan Goliath. 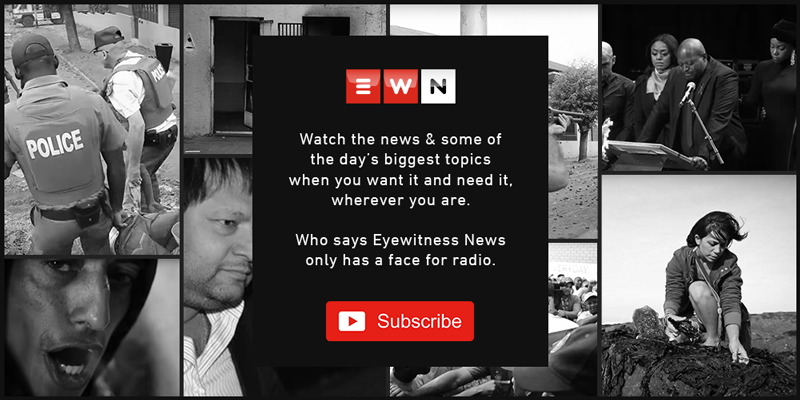 In a statement to EWN, Brand SA said the purpose of the video was to highlight their role in protecting women and children. The company’s general manager for marketing Sithembile Ntombela said this was the third time the company was running the campaign since its inception in July 2017 and have received “increasing levels of engagement,” which were mostly positive. Some took to social media to respond to the campaign, saying it is "nonsensical" and "unnecessary." Ya'll should have remained silent.